This tour can be booked separately or in combination with a tour to Armenia which will take place from May 14-24. 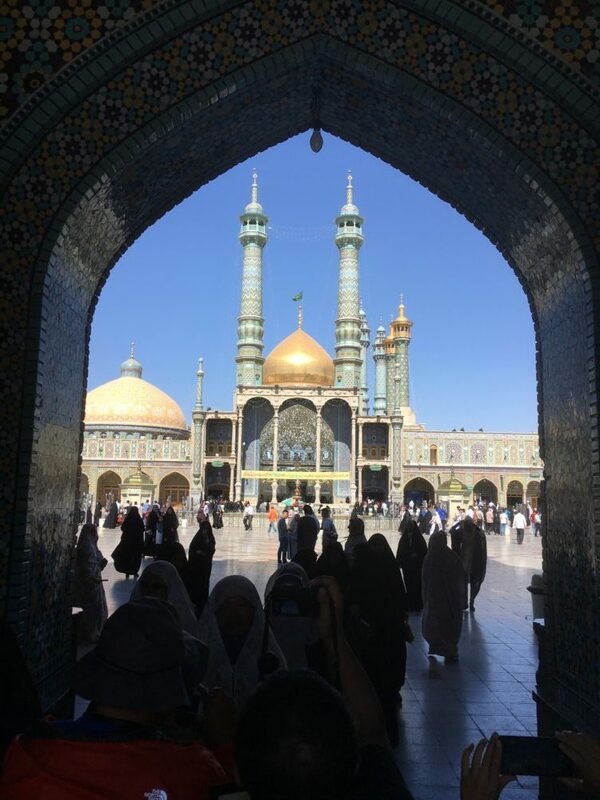 Day 1 – Friday May 3 - arrival in Iran. Our official program will start tomorrow (May 4). 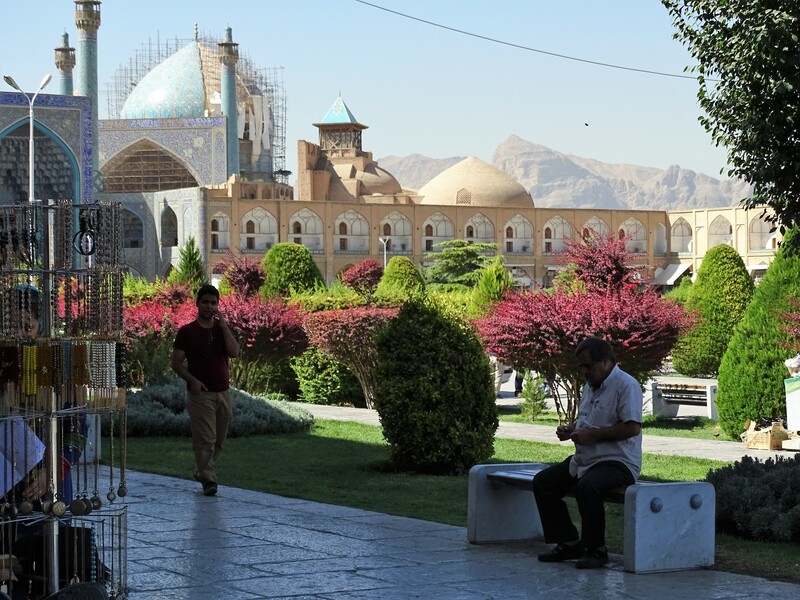 To benefit of a full day sightseeing in Teheran the next day it is advised to arrive one day earlier. Our guide Mojtaba will be available to do some ‘ unofficial’ sightseeing today. A transfer from the airport to the hotel will be included as well as your overnight stay. Centrally located is the National Museum, with an extensive collection that gives you a good introduction to the history of Iran and Islamic art and culture. Nearby is the Golestan Palace. This palace dates back to the Khajar Dynasty and provides a window into how Iranian nobles lived in the past. Another option is the National Jewel Museum, one of the best museums in the country with a world-renowned jewelry collection including Nur Darya, the world's largest diamond. As an alternative this museum might be included in day 11. In the north of the city you will find the Sa'ad Abad Park, where several residences were combined into a summer palace. Niyavaran Palace is the palace of the last sjah dynasty, where nothing has changed since the Shah fled from Iran in 1979. 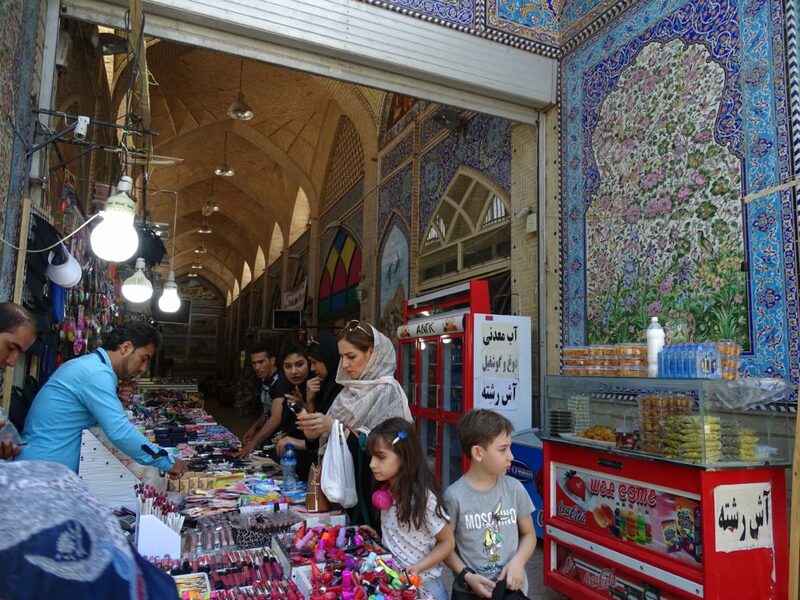 Don’t forget to visit the bazaar, one of the largest and most visited in the country or visit the trendy north of Tehran, with modern shopping malls, peaceful bazaars and shopping boulevards. At the edge of the mountains you can visit one of the teahouses. You should take into consideration that the museums are open on different days and which museums are open will depend on what day you are in Teheran. Today you leave the Iranian capital to go Southwards to Kashan. Along the way you visit the imposing mausoleum of Ayatollah Khomeini, the founder of the Islamic revolution in Iran. You will get more impressions of Islamic Iran in Qom, the most important Islamic city in Iran and educational centre for mullahs (Muslim clergymen). Most important sight is the shrine of Hazrat-e-Masumeh, Fatemeh, Sister of Imam Reza. It is a vast complex with thousands of pilgrims, with women wearing traditional chador robes. For female tourists a chador will be provided. Kashan is known for its marvelous merchant houses and one of the country’s most famous gardens, the Fin Garden. Iran is a dry desert country, so a highlight for the Iranian people is a visit to this beautiful manicured green oases in the city. 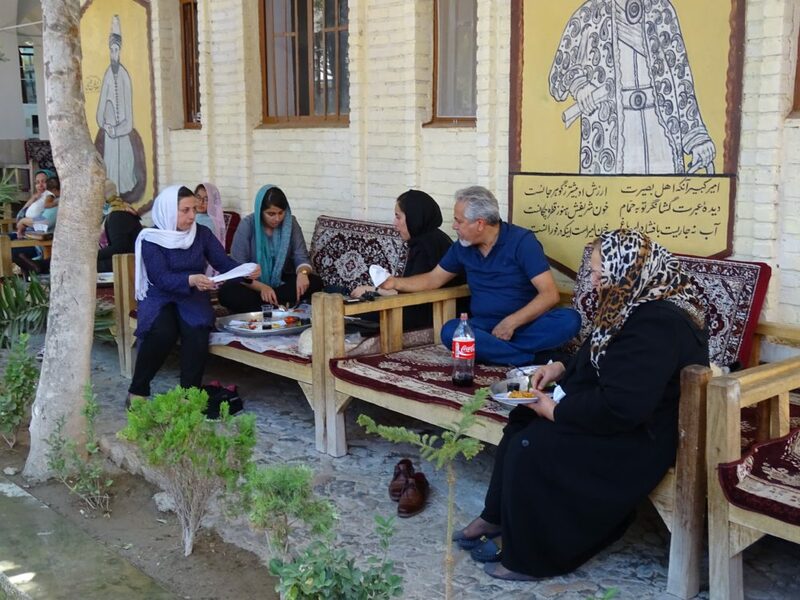 You will have a buffet lunch in a restaurant in Kashan. The most beautiful houses of wealthy merchants are close together in the west part of town. For example you can visit the Khan-e-Tabatabei, with four courtyards, beautifully decorated rooms with murals and beautiful colored stained-glass windows. Nearby is the beautiful Khan-e Abbassi. 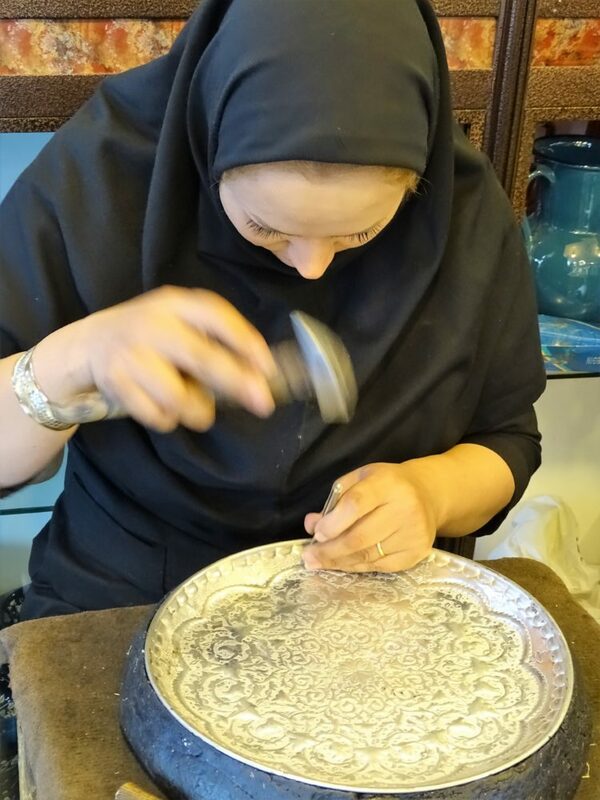 Another not to be missed home is Bujerdi home, a trader in samovars. This house has a lovely courtyard and some wonderful frescoes by the hand of Kamal-al Molk, one of Iran’s best-known artists. 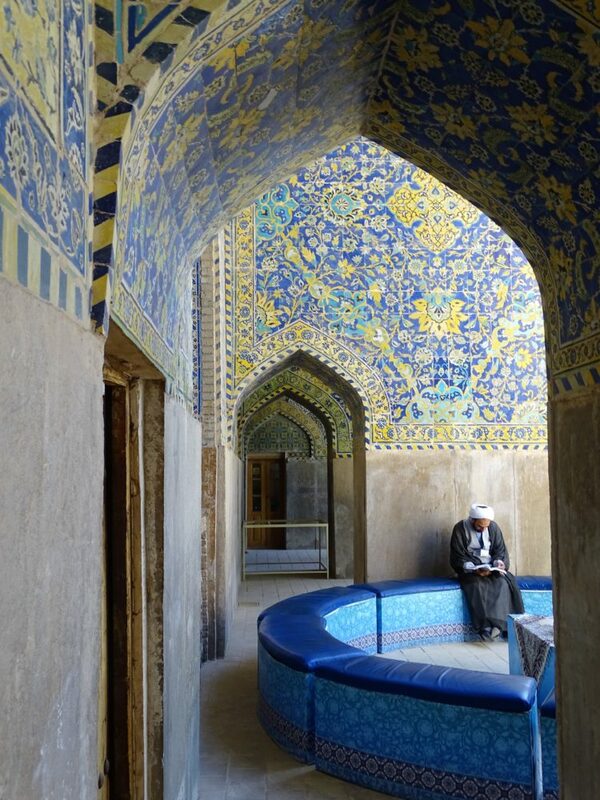 Nearby is one of the finest hammams (baths) Iran: Hammam-e Sultan Mir Ahmed with beauftiful colored tiles in several rooms. Around sunset you can enjoy a magnificent view of Kashan from the roof. Tonight dinner will be served at the Negarestan hotel. 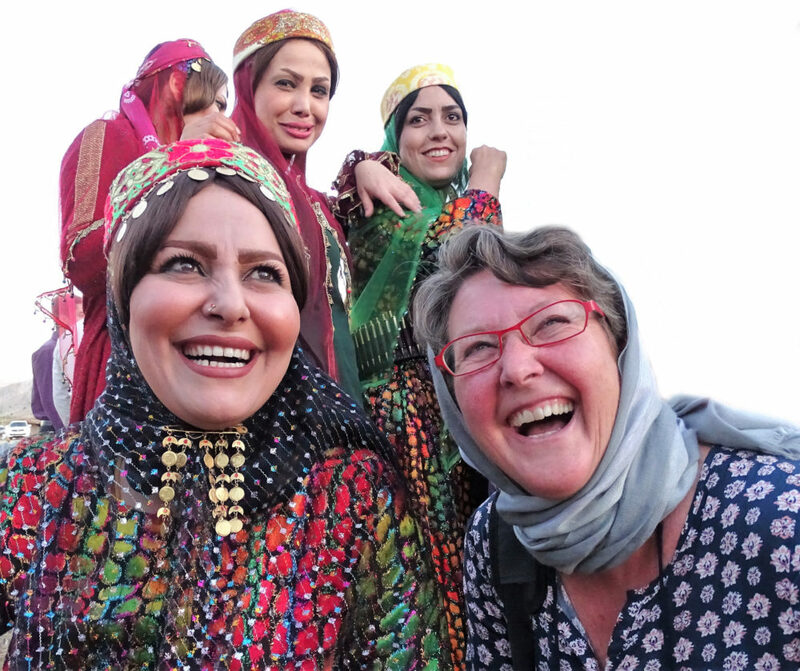 On the way to Isfahan you can visit the beautiful mountain village of Abyaneh. This is a village of living traditions, architectural styles (all in red clay), and probably the most interesting example of humans adapting to nature. 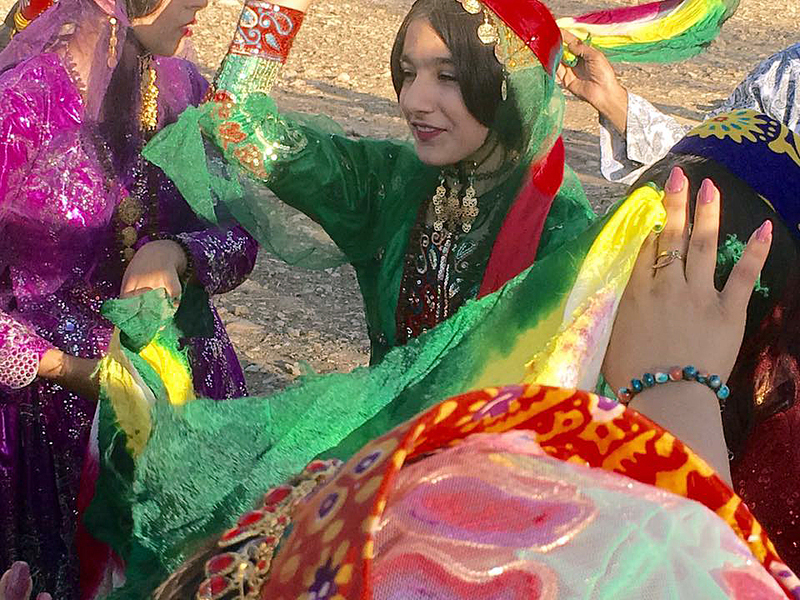 All the people wear traditional costumes, like the long white floral scarves worn by the women. Be sure to visit the mosque, with its wooden mihrab. Via steep paths you can climb up to the ruins of several castles and a enjoy splendid view of the town. You will have lunch at a hotel and after this, the rest of the journey to Isfahan will take place. The legendary city of Isfahan is the most famous of the country. 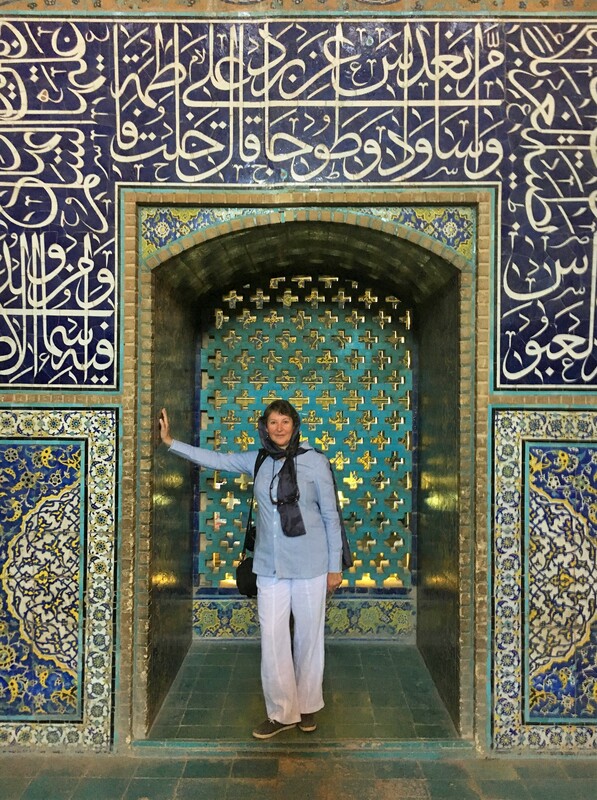 This gorgeous place is the pinnacle of Persian culture. There are countless mosques, palaces, gardens, bazaars and madrasa to visit. 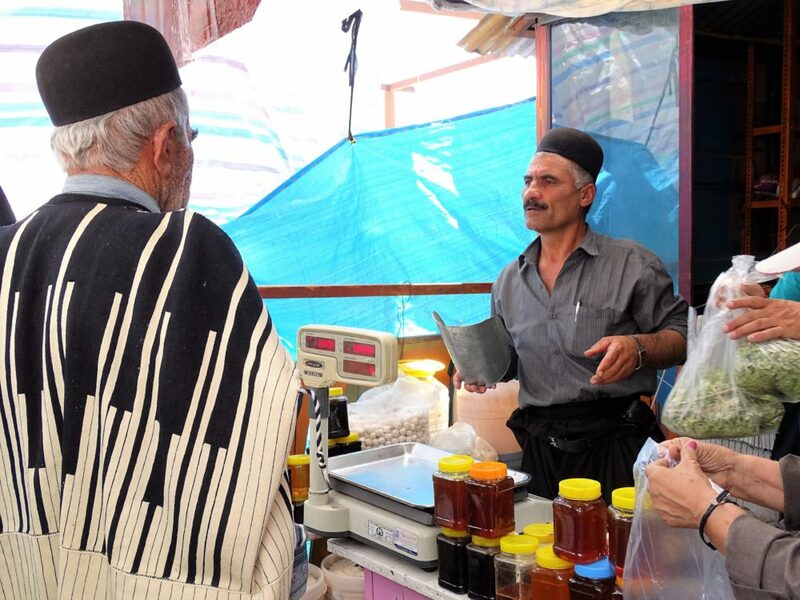 You will have enough time to see everything and to look for the best souvenirs at the bazaar. Maybe you will take home a Persian rug. The centre of the city is the 160 x 500 m Naqsh-e Jahan Square, also known as Imam Square. On either side are the Sheikh Lotfollah Mosque, the six-story Ali Qapo Palace and the Imam Mosque (Masjed-e-Emam). This last mosque you should visit at sunrise and sunset. You will be amazed how different it looks every time. You can overlook this immense square from a teahouse on the first floor of the bazaar. Here you can take a break from the sometimes overwhelming sites. The immense bazaar is divided into sections, each offering their own products. Rugs, antiques, gold jewelry, clothing, pots and pans, books, water pipes, everything is sold here. Tonight you will have dinner at the traditional restaurant at the Abassi hotel. Today you have a full day to explore Isfahan. There is much to do in this wonderful city. In the morning you will visit the Naghsh-e Jahan square and the Sheikh lotfallah Mosque, Imam mosque and Ali Qapu palace. 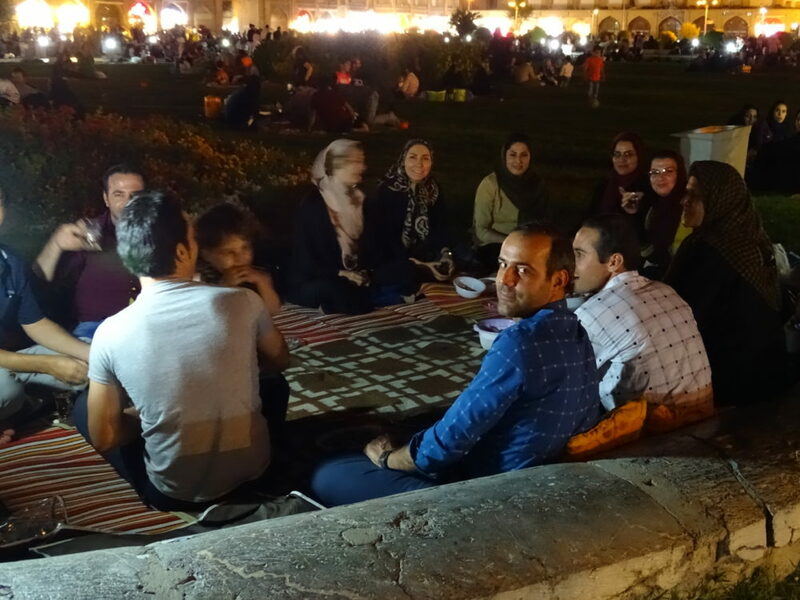 After this you will have lunch at Jolfa ARC restaurant and you can visit Vank Cathedral and historical bridges. The rest of the day you will have some free time until dinner. At the end of the afternoon, you should definitely head to the Zayande Rud River. Under several bridges you will find very cozy tea houses. Besides tea you can also try different Iranian delicacies or a hookah. You can also enjoy the river on a paddle boat. Dinner will be at the garden of Abassi hotel. In the evening you can visit Zoorkhaneh, "House of Strength," to witness a traditional Iranian sport that is danced to the pounding of drums. Today you will be drive into the mountains of the Koohrang region. You will enjoy some nice scenery, where in this period many nomad families will be staying in their tents. Here you will not only find an Iranian ski resort at the town Chelgerd, but most important the area where most Bakhtiari pitch their tents in summer. A beautiful alpine area to take walks. 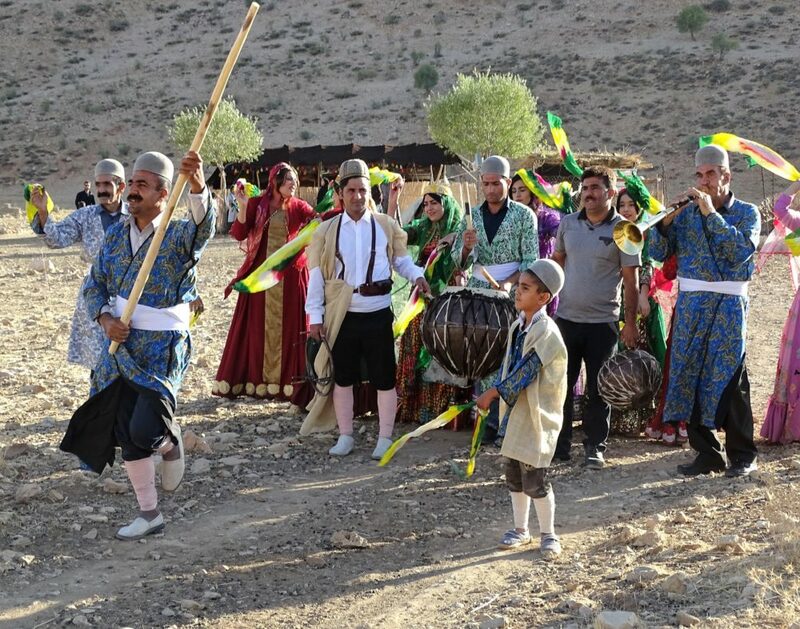 We will visit nomadic families and enjoy their food and dance. They will be cooked in a simple way, perhaps the are working on a carpet or kelim, and most important is to share an endless number of cups of tea together. Most nomads are extremely hospitable and warmly welcome you in their tent. You will stay in a simple hotel in the town of Chelgerd. You will have a big part of the morning in this area and encounter many Bakhtiari nomads. The Bakhtiari often live together with more families. Men can be recognized by their clothes with black and white stripes. Many Bakhtiari still walk over land the traditional way, on foot with their herds, travelling between winter and summer settlements. Once invited into a tent, you will quickly be part of the daily life of the nomads; sheep and goat herding, milking, and sometimes shave or slaughter. They will make dough (a yoghurt drink) the traditional way (by shaking vigorously by a bag of sheep skin, or a milk can). Today you will drive from Yasuj to Shiraz and will see another nomadic tribe of Qhasga'i families. Some of these nomadic families still live in the traditional black tents of goat hair, but more and more families opt for more modern canvas tents. In the afternoon you arrive in Shiraz, the city of nightingales, poetry and roses. You have two days to explore this city and its surroundings.Shiraz is one of the nicest and most famous cities of Iran. The city is known for its poets and gardens. 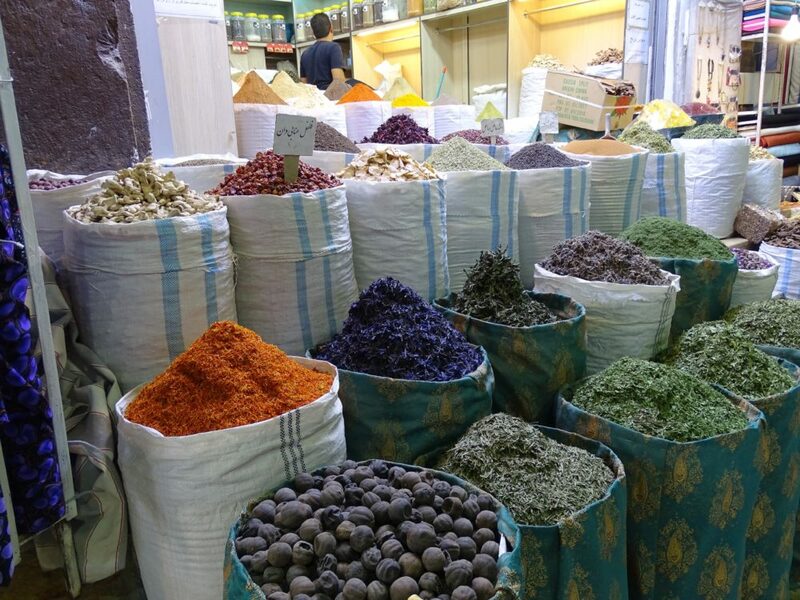 You will have free time to visit the lively Vakil Bazaar and stroll along the Zand boulevard, where you will find bookstores and other shops. Near the bazaar the beautiful Vakil Mosque is located. Tonight dinner will be at the Sharze or Haft Khan restaurant. In the morning we will visit the Masjid-e Nasir-ol-Molk mosque. When the morning sun shines through the stained glass windows creates a fantastic colorful panorama on the floor of the main hall. Close to the mosque there is the Narenjestan Garden. This is a 19th-century garden that belonged to a wealthy family in the Qajar period. You can also visit the mausoleum of Shah-e Cheragh, the 3rd most important religious site in Iran. The wonderful lighting and mirrors of this shrine make it extraordinarily beautiful. You can see families pray, talk and eat, and you can sit inside and experience it among them. Lunch will be at the Soofi restaurant. One of the most famous poest in Iran is Hafez, whose tomb stone is located in a small, quiet park. In the rear is a traditional tea house where you can enjoy sitting on cushions and drink sweet black tea or smoke a waterpipe. You will also visit the mausoleum of Saadi, another poet. Equally attractive are the gardens at the palace Eram. You travel on a good road through a dry landscape south westward. Today we will visit Persepolis. Persepolis is the Greek name for the ‘city of the Persian’, even though there have never lived any people. Persepolis is highly recommended for anyone who wants to go back to the times of the ancient Persian Empire and its Aechaemenic kings. It was once one of the most beautiful palaces in the world. Especially the reliefs in this palace complex are well preserved. Impressive is the relief where you can see pictures of all nations living in the Persian Empire who come to offer their gifts to the Persian king. King Darius I built a terrace here, from where you have a magnificent view over the entire complex. We will have lunch near the Persepolis site. Nearby lie the four Achaemenid royal tombs, with Naghs-e-Rostam (Darius I and II, Xerxes I and Artaxerxes I), which are carved into a 65 meter high mountain wall. The tombs themselves are not open to visitors and can be viewed from a distance. There are also some impressive reliefs from the time of the Sassanids. At the end of the afternoon you will arrive in Shiraz; the city of poets. In the afternoon we will go to the train station and start our journey back to Tehran. Dinner will be served on board of this luxury train, where you will share one compartment of 4 beds with 2 persons. After arriving in Tehran you will visit the Golestan palace in the morning. After lunch you will have time to visit the Jewelry Museum; where you can see the Peacock Throne and diamonds from the Shah family like the world famous Darye Noor. Transfer to the airport for departure to Armenia or your home country. The minimum required number of participants is 15.